Paramount Ruler of Bakassi and Chairman of Cross River Traditional Rulers’ Council, Etiyin Etim Edet, has accused former President Olusegun Obasanjo of subjecting the people of the community to untold hardship after he ceded the Bakassi Peninsula to Cameroon. Edet said Obasanjo ceded the land to them without making adequate plans for the proper resettlement of the people. He said that single decision had exposed them to untold suffering, which they were still facing 13 years after the handover. The monarch made the statement while addressing newsmen in Calabar, the Cross River State capital on the delay in the implementation of the 2013 report of the Presidential Committee on the Plight of the Displaced Bakassi People. He called on the former president to remove the rope around his neck before God calls him. 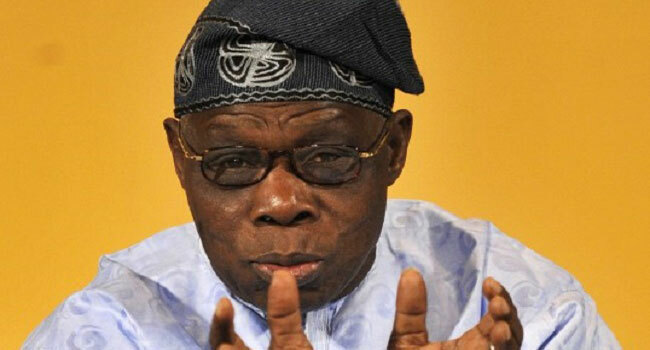 He said, “Obasanjo, who is the main actor in the ceding of Bakassi, is still alive. He made a lot of promises to us prior to the ceding and we thought that he would fulfill them but he did not. “He met with us severally at the Aso Rock Villa, Abuja, and he spoke to us passionately as the father of the nation which gave us the assurance that the government would do something reasonable for the people of Bakassi but up till now, we have seen nothing. “He promised us that we would be allowed to go to any place of our choice with all our institutions, but uphill now, we have not been given that choice.